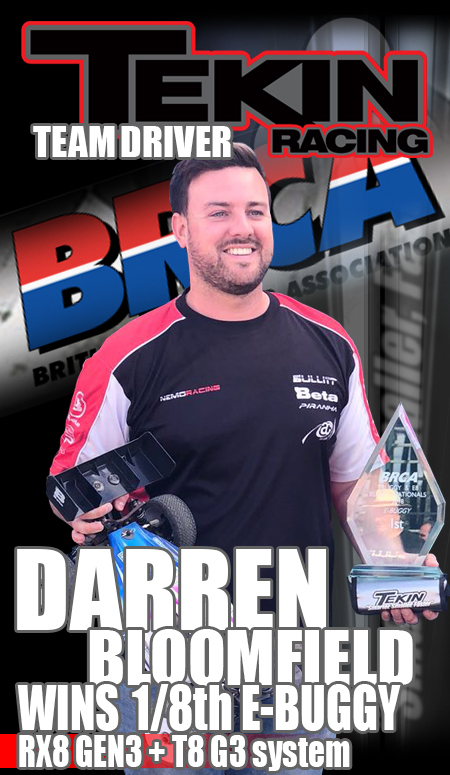 Darren Bloomfield 3x Consecutive BRCA 1/8 National Champion! Darren opened his tittle chase way back in April at Brookthorpe a totally new track to the BRCA scene, with some very close qualifying Darren would start the main second on the grid, but with a heavy downpour just before the start with his Agama A215, Tekin Rx8 Gen3 and T8 2050 he had more control than the rest and claimed a convincing win. Onto round 2 and it was up north to North West Nitro yet another new track to the calendar however the club have a small history of running UK nationals at there old venue not too far away. With a real loose surface Darren was off to a good start with full control in qualy thus starting P1 for the main converting it to a win stamping another mark on his tittle chase. Round 3 was first day of July and at yet another club re entering the BRCA calendar after running nationals previously at the clubs old venue, great to see some new venues getting a crack at the whip. With Darren having never been to this track before and others having spent a substantial amount of time here, Darren settled for 2nd in qualifying and although he got real close to the win he would have to also setttle for 2nd overall, a great score towards his tittle never the less. 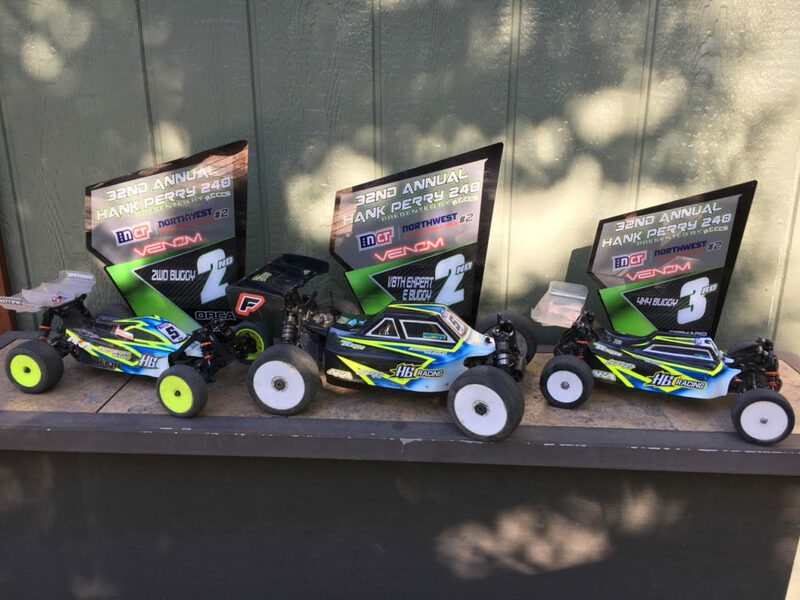 Round 4 and the very familiar BRCA venue Herts nitro model club, Darren’s home track and in the height of summer……. 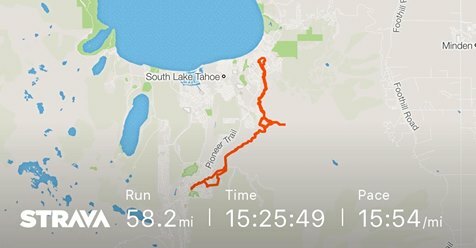 rain all day. 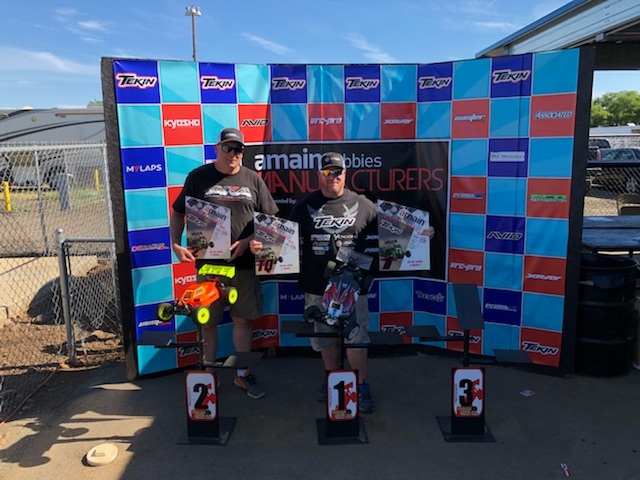 Darren felt at an advantage here knowing exactly where every bump is on this track but also because he knew he had the smoothest and most well programmed motor and esc for the super slippery wet oild track conditions. With this said he took a convincing TQ and win lapping the entire field. 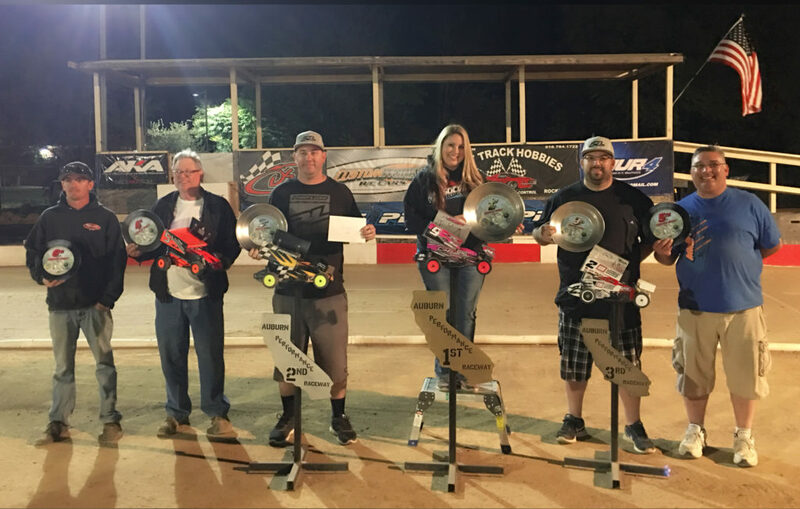 WITH THIS SEALING THE BRCA E BUGGY NATIONAL CHAMPIINSHIP. 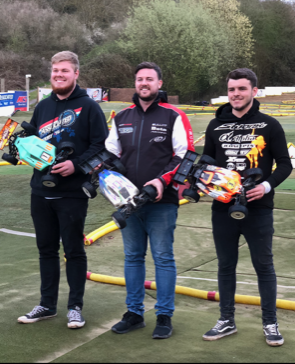 Onto the 5th and final round at Slough and yet another of Darren’s tracks he is very familiar with as he use to live one mile away, going round at this event as more of a victory round, Darren went on to TQ all 3 rounds and win the main lapping again up to 3rd place. 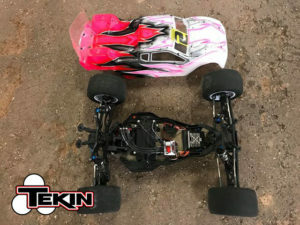 10 TQ’s, 11 wins and 3 2nd places out of the last 15 rounds over 3 years with one non appearance Darren is convinced he is using the best he can get as you should be also with Tekin. Darren is already looking forward to what 2019 will bring! 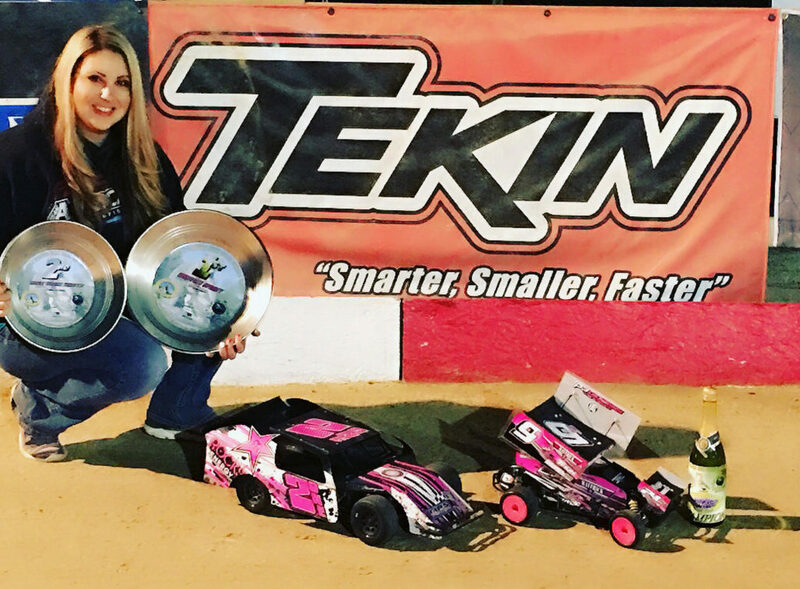 Tyler Hooks wins the 4wd 13.5 ROAR National Championship! Tyler Hooks as most of you may know has been up and coming for quite some time. 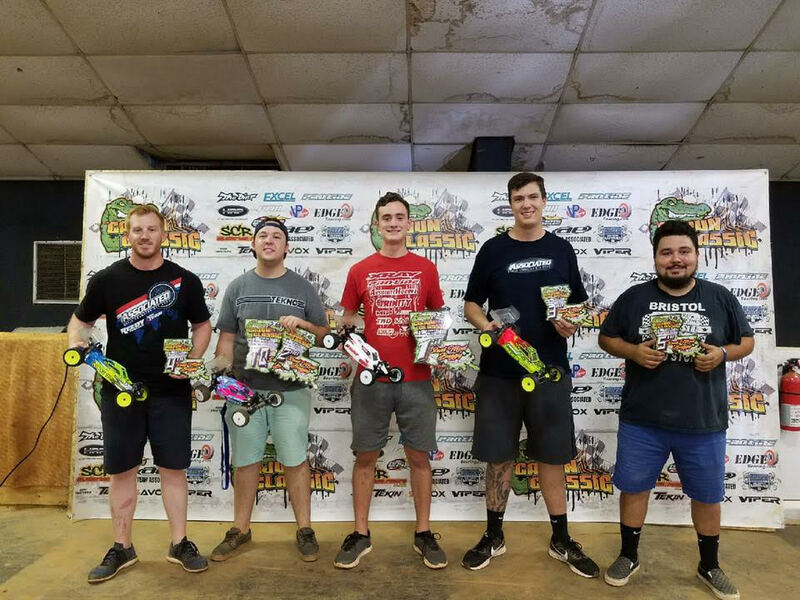 Known for this good attitude at the track, well put together cars, and overall positive attitude towards R/C racing in general. 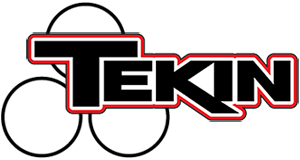 It’s been my personal pleasure working with him to improve his racing program using Tekin products. 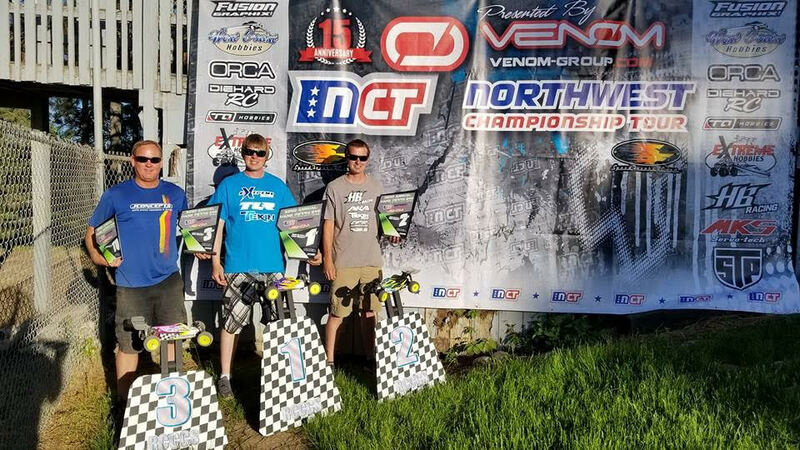 His results at the 2018 ROAR nationals using “off the shelf” equipment is what we at Tekin strive to provide not only our race team, but our customers. 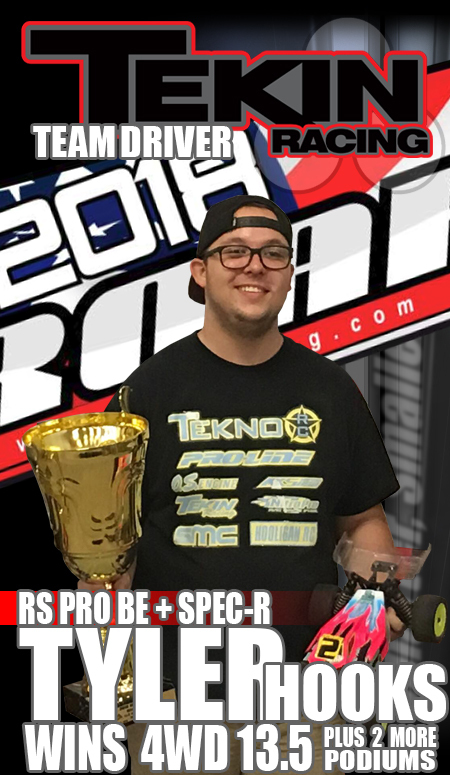 Tyler Tq’d and ultimately won his first ROAR National Championship with the Tekin RS Pro BE ESC; the ESC with the lowest on resistance of ANY competition ESC on the market today paired with the Tekin Spec R motor which are products you can pick up at any hobby shop or online retailer knowing your “off the shelf” purchase can compete at the highest levels of R/C racing today! 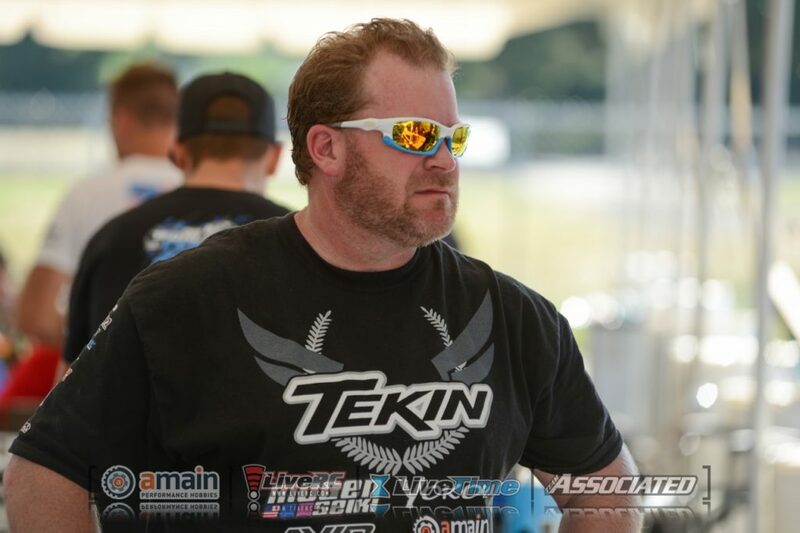 Randy Pike, Tekin team manager. 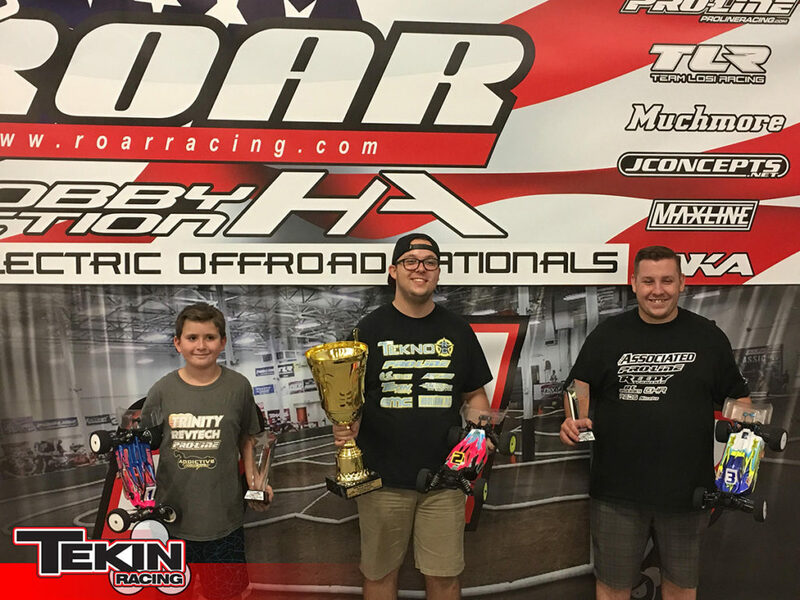 Brad Rippee would Tq and take the overall win in the 1/8 E Truggy with his Tekin Rx8 Gen3 T8 2250 steered by a Tekin T300 servo. 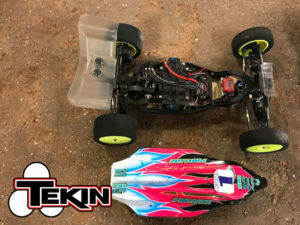 Brad running a full compliment of Tekin power and Tekin control products would sweep the double A’s. 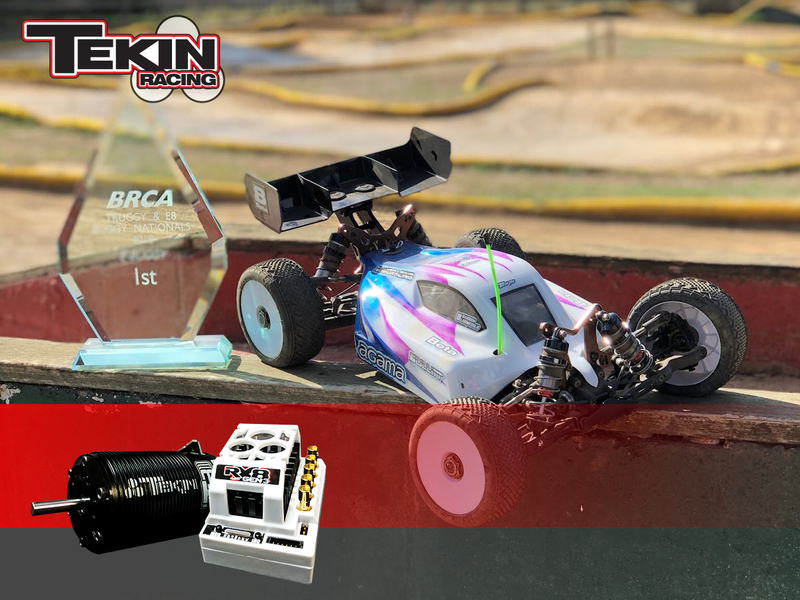 Tekin factory driver Darren Bloomfield kicks off his 2018 bid to defend his BRCA title defense of his National Title in E Buggy. 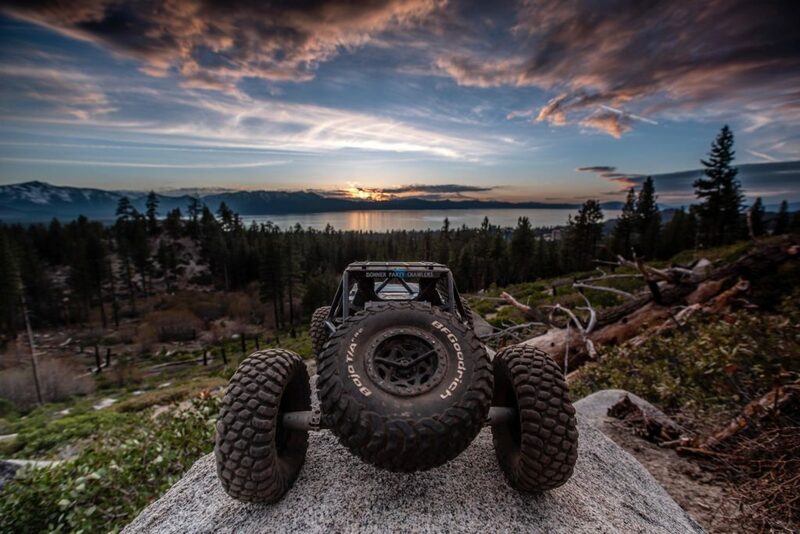 Darren once again chose the award winning Tekin Rx8 Gen3 and T8 2050 system he used last year. 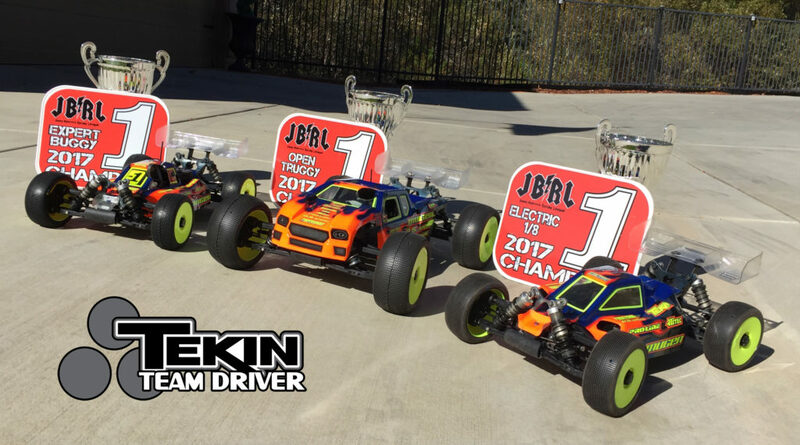 Adam Drake is your 2017 JBRL Nitro Series E Buggy Champ! 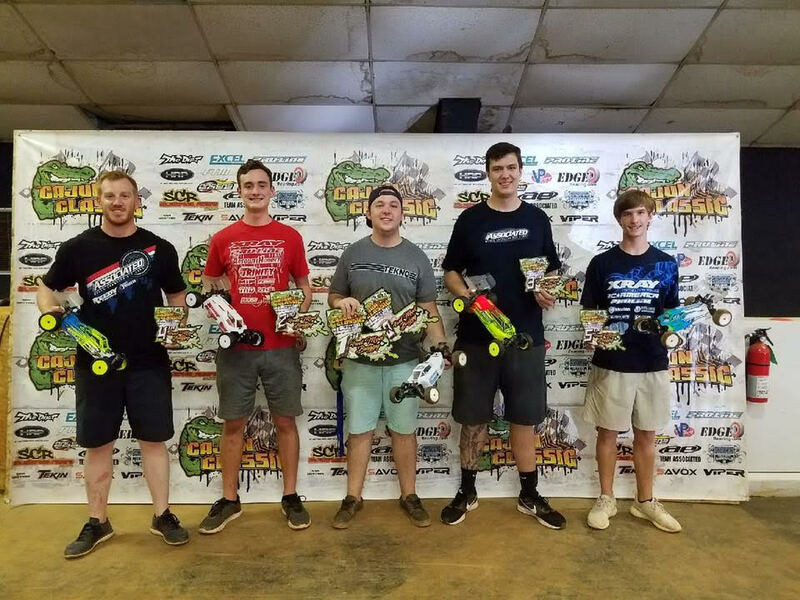 The JBRL Nitro Series just completed its 12th season. 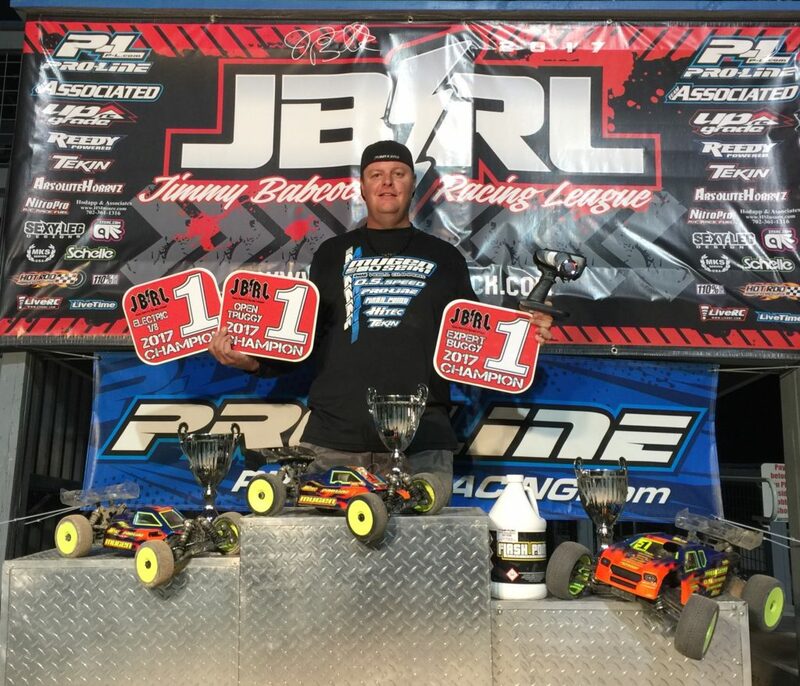 With an average of nearly 165 entries per event, it is easy to understand why the JBRL Nitro Series is the most popular racing series in the nation. The JBRL series visited 8 tracks this year. 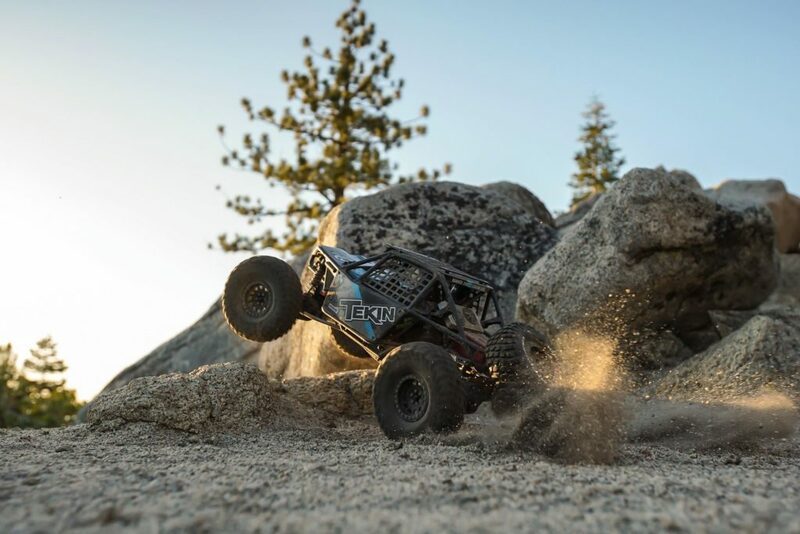 Traveling all over Southern California and Nevada and Arizona to test the skills of its competitors over a wide range of track conditions. 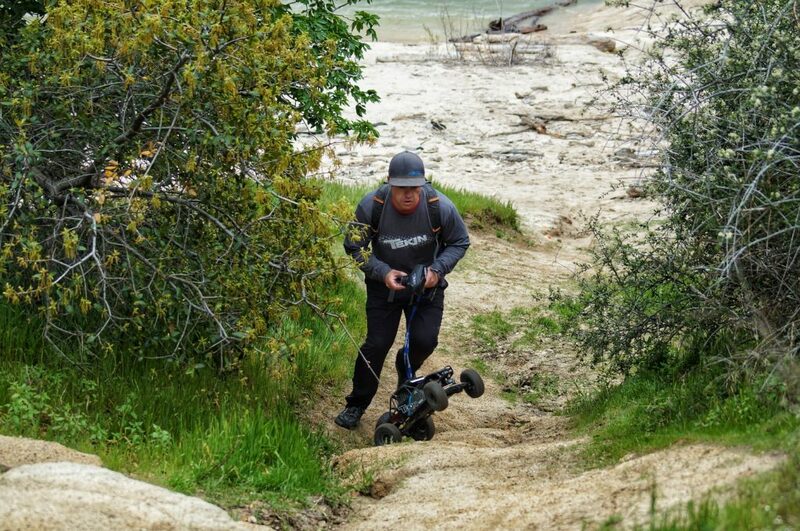 This exciting series is fun for the novice and expert racer alike. 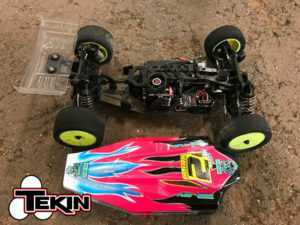 Tekin Factory driver Adam Drake has once again took the overall championship title in the E-Buggy division running his Tekin Rx8 Gen3 T8 1900 powered Mugen Mbx7r ECO buggy. This Adam’s fifth time Drake has taken this coveted title! 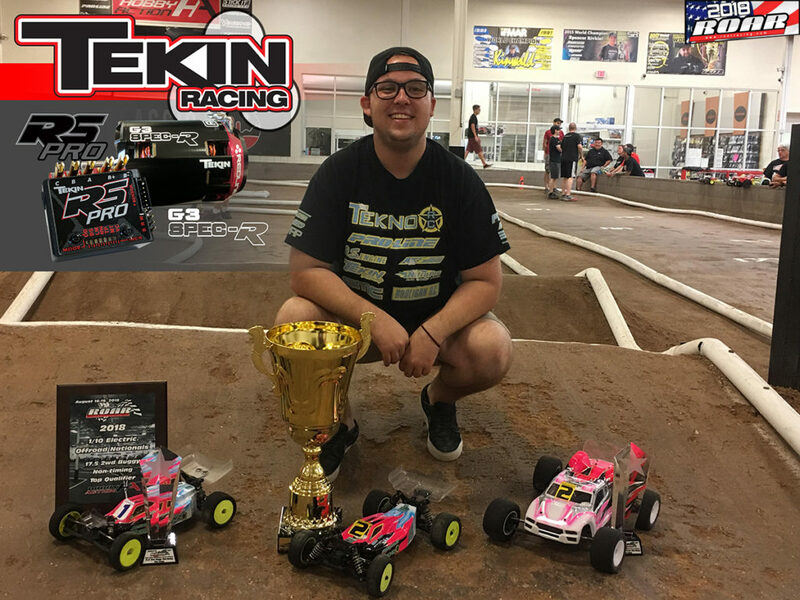 Everyone at Tekin would like to congratulate him on his championship!